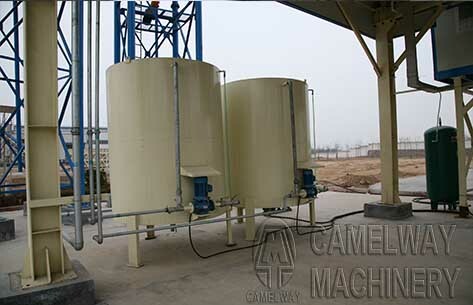 Admixtures weighing system consists of: admixture box, additive, corrosion resistant pumps, sensors, etc. Admixture pump under the control of the control system, admixture pumping admixture box, measured by the sensor juice to the preset value, the water pump shut down. When discharging cylinder open, make the admixture flowing water weighing hopper, together with the water into the blender.Another pump at the same time continue to work cycle admixture, stirring effect, in case of admixture precipitation, water pump out of the microcomputer control switch. If you are interested in it, please feel free to contact us at any time. This entry was posted in Brazil Batching Plant, Solution and tagged concrete mixing station by camelway. Bookmark the permalink. What should pay attention to the electric system of concrete batching plant?